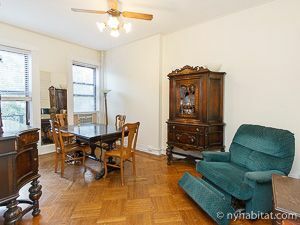 This is our reference NY-16592. 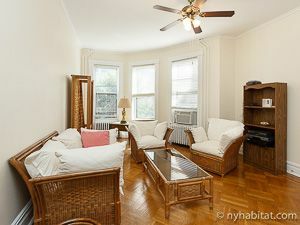 Enjoy staying in an up-and-coming New York neighborhood with these fully furnished rooms for rent. 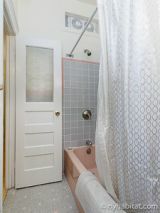 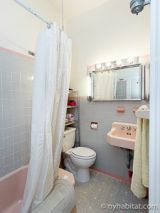 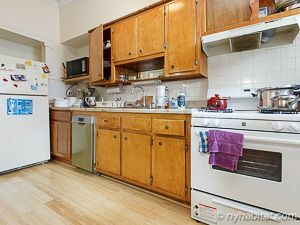 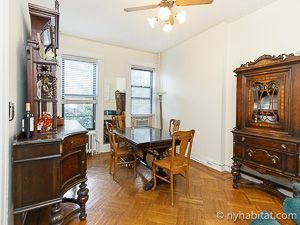 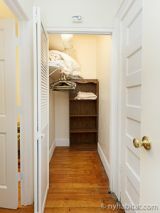 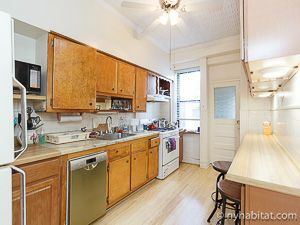 Found in Bushwick, Brooklyn on Cornelia Street and Wyckoff Avenue, this two bedroom apartment share is found on the second floor (equivalent to the first European floor) of a three story townhouse. 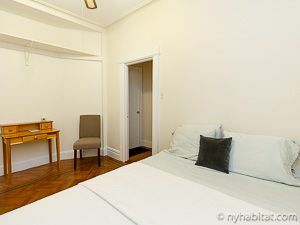 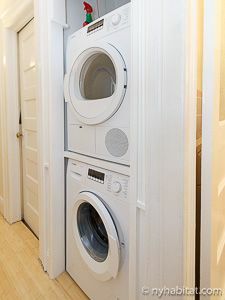 While staying in one of these rooms for rent, you will have access to a garden as well as a washer and dryer. 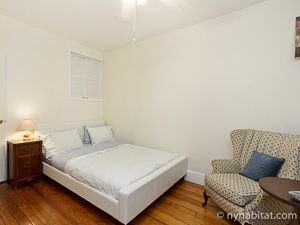 Both of the bedrooms for rent in this two bedroom apartment are lined with hardwood floors and have queen sized beds as well as closet space. 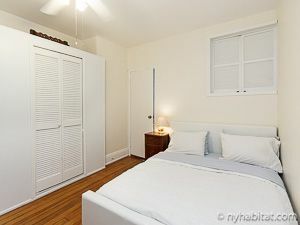 Please note that the windows in these rooms for rent do not open to the outside. 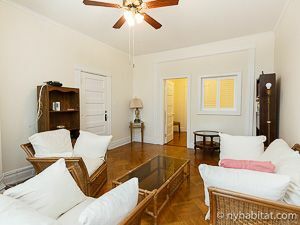 The window in bedroom 1 opens to the the living area while the window in bedroom 2 opens to the dining room.